Throughout life I’ve gained a great deal of insight into myself and have come to the extraordinary realization that I lack patience. There have been a few clues over the years, but I now have no doubt. The hurry up and wait routine of our Russian import program have not been easy for me. As we get a glimpse of light at the end of the tunnel, the waiting is getting more intense and the harder it is for me to not go completely crazy. 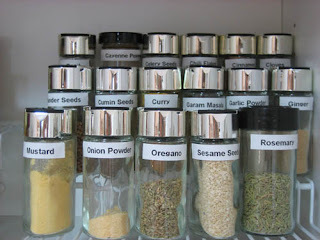 Much of the past few weeks have been filled with beading making and jewelry work, but I’ve also found time to furniture polish all the base boards in the house and cleaned out the spice cupboard. 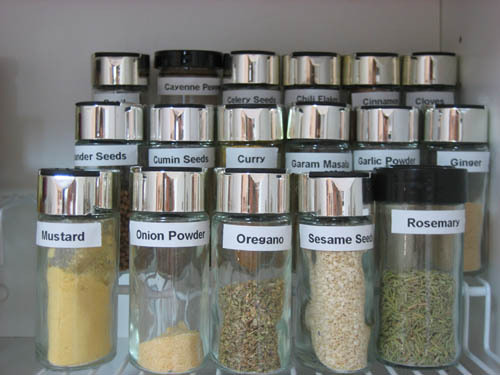 I’ve even purchased a label machine, so that I could label the spice containers and sorted them into alphabetical order. Everything in our house that needs a label, now has one and my darling husband requested that I not label any of his belongings, so I’ve purchased another piece of equipment with which to occupy myself. Today I bought a soldering iron. Before anyone gets all excited about me melting an ity bity bit of metal, remember that I run a blow torch and play with molten glass on a regular basis. I need to be able to solder some of the jewelry I’m working on and I promise to only use it on my metal topped beading table. Dave hasn’t said anything about my latest purchase, but I'm playing it safe by assuming that he doesn’t want me to work on anything of his. He's funny that way.